Kirby Park Stud is dedicated to breeding world class horses with trainable temperaments and sound conformation. Our ASH stalion Kirby Park Nantamboo has produced amazing progeny and is like our little secret at Kirby Park. 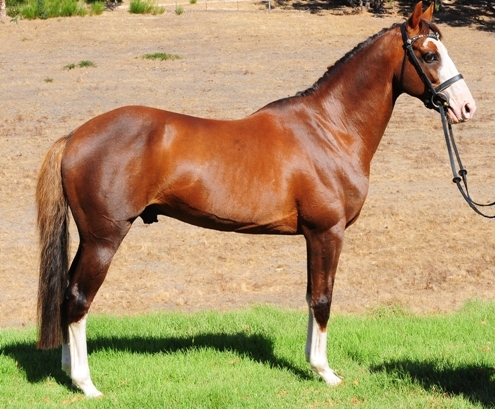 He produces a very consistent type of horse – good in the back. soft mouth, 3 elastic paces and a bold careful jump. Our current 3 Irish Sport Horses stallions are the sons of some of our original Stallions. Storm (as we call him as he was born in a fierce summer storm) is as tough as they come. His dam died when he was only 5 weeks old and he didn’t miss a beat, he is growing into a stunning colt with huge movement and a easy personality. 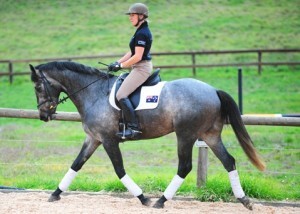 He has international 4 star eventing running through him. His dams sire Wrestwood Neptune is the brother to Kentucky USA CCI**** winner Welton Envoy. Wrestwood Neptune‘s dam was the full sister to Burghley winner and European champion “Night Cap” ridden by Virginia Lang. Storms sire Kirby Park Nantamboo is a ASH reg and has produced wonderful horses with elastic paces and very genuine temperaments and real competitors. 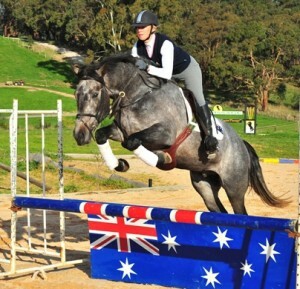 He is the sire of my current 2 star sensations Kirby Park Impress and Kirby Park Invader who are both leading 2 horses in Australia right now at only 6 years of age they stamped themselves on the eventing scene in 2014. Storm will be available for stud duties in 2015. Zinc’s grand sire “Kirby Park Irish Jordan” needs no introduction as he is the brother to the amazing Olympic silver medalist Kirby park Irish Jester one of the worlds greatest event horses. Zinc has wonderful paces and is cute as a button, he is taking everything in his stride as he matures and begins his education, he free jumps like he has wings. This is a very exciting sire, he has all have bloodlines to assure him of success and temperament to allow this. 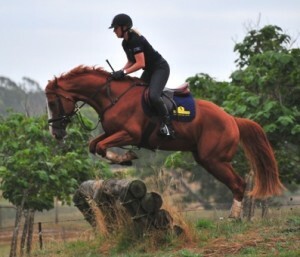 The modern eventer needs the ability to do a great dressage test while fighting fit with amazing movement and train ability and still be able to gallop the time down on xc, jump the fences bravely and be quick on their feet. Zinc is 1/16th Irish and the rest Australian TB, he still has all the wonderful attributes of the fast clever TB but has the great temperament, jump and train ability of the wonderful Irish breed. Everyone here at kirby park was so excited for Grace and Joy, to have yet another Kirby Park horse reach a World Championships and a Olympic Games is testament to the quality and ride-ability of the horses we breed. 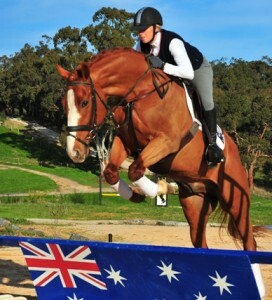 He is also the sire of my current two sensational 2 star horses Kirby Park Invader and Kirby Park Impress both has burst onto the Australian eventing scene in 2014 and impressed everyone who saw them. Ryan goes back to Comic Court and Goldbine truly great jumping bloodlines. 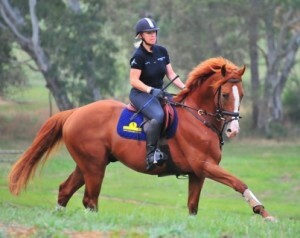 Ryan is also a registered Australian Stock Horse so all his progeny is able to be ASH registered. This is why he has such a great temperament and is so versatile. Ryan has an amazing softness and balance, both in his movement and his jump and he passes these qualities onto his progeny 100%. 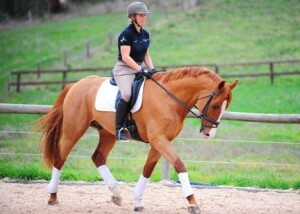 He is 16hh so is prefect to cover the bigger mares. He stamps all his progeny with an outstanding “look at me” quality – take a look at Kirby Park Irish Empress, Invader, Impress and Joy just to name a few. On the flip side if you just want a balanced good safe ride this is what he produces. We have young Stock for sale sired by Ryan.